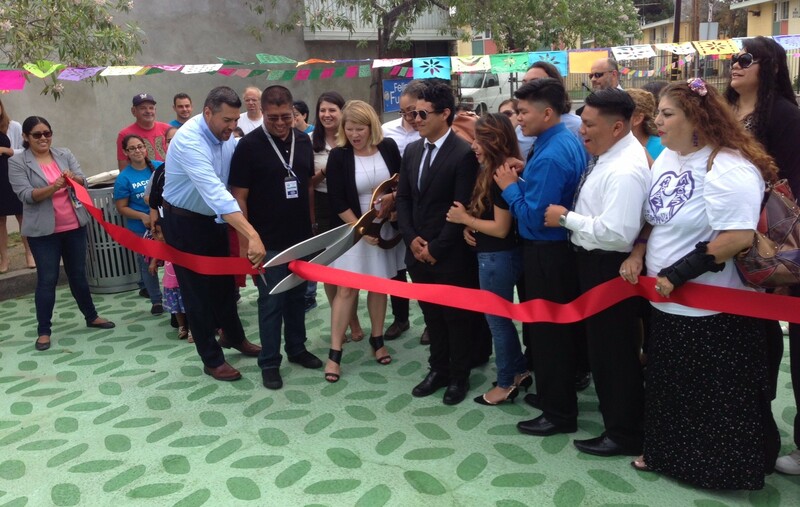 L.A. City Councilmember Felipe Fuentes (left in light blue shirt) along with many others, including LADOT GM Seleta Reynolds, cut the ribbon to open Bradley Plaza. 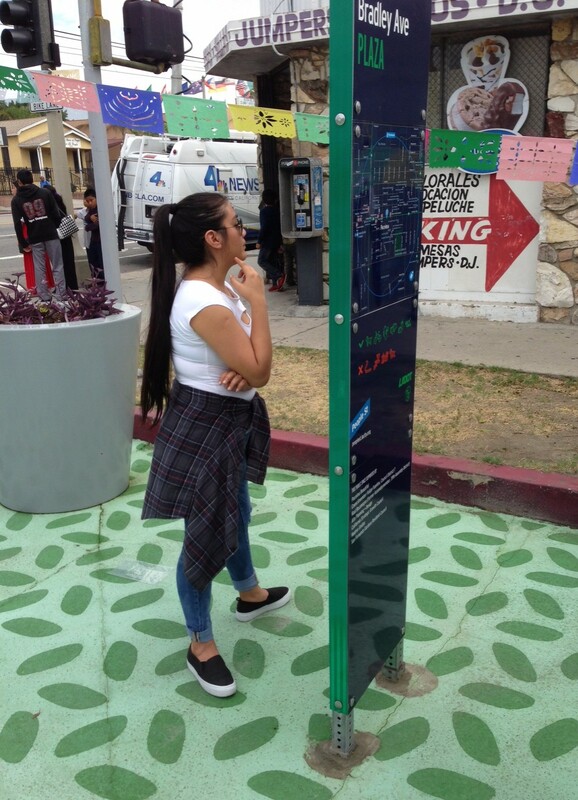 All photos by Joe Linton/Streetsblog L.A. 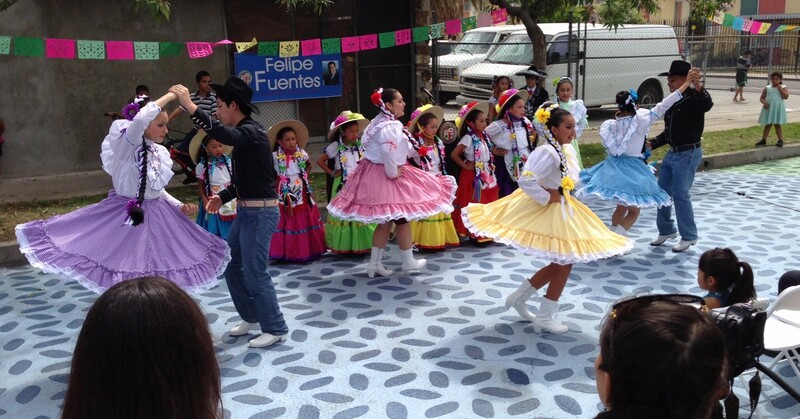 Yesterday, the community of Pacoima celebrated the opening of the city of L.A.’s latest car-free space: Bradley Plaza. The plaza closes to cars one block of Bradley Avenue immediately east of Van Nuys Boulevard in the north San Fernando Valley neighborhood of Pacoima. 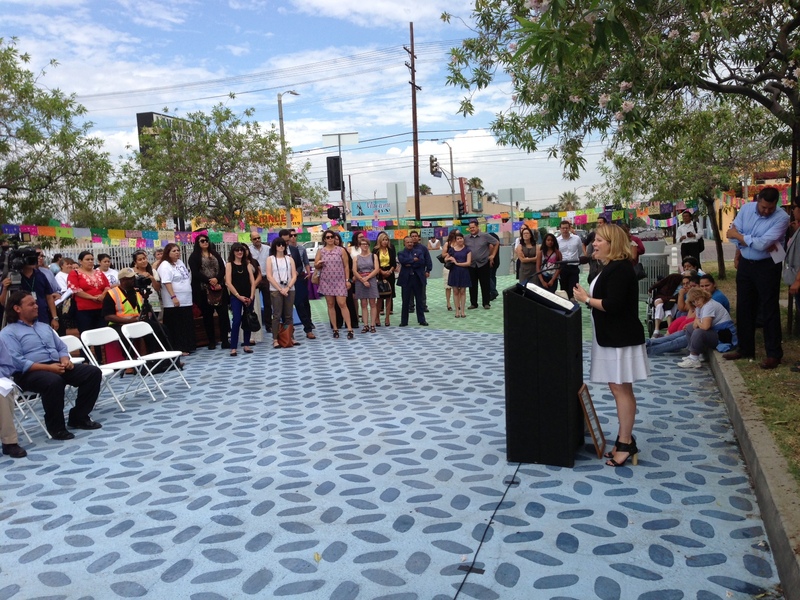 The plaza is a product of the city Transportation Department’s (LADOT) innovative community-driven People St program. 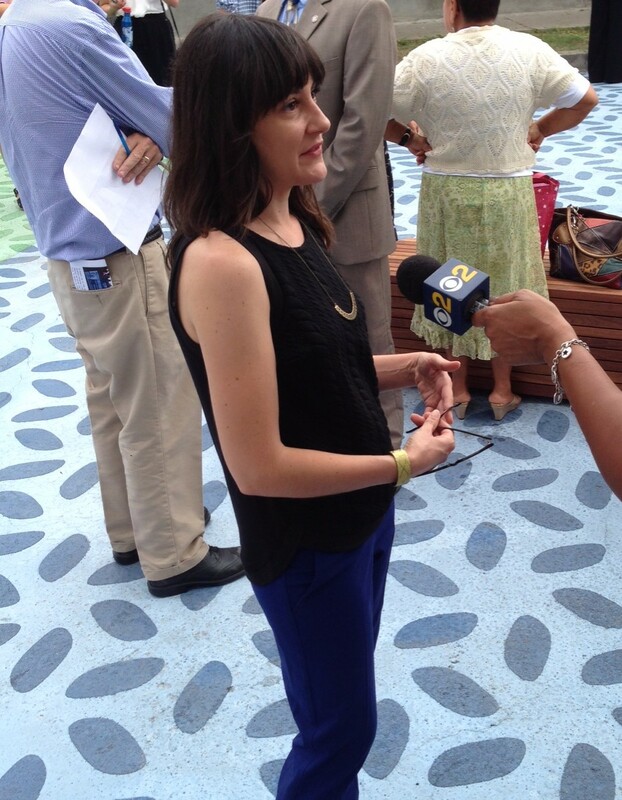 Through the People St program, community groups can apply for and receive local plazas, parklets, and bike corrals. 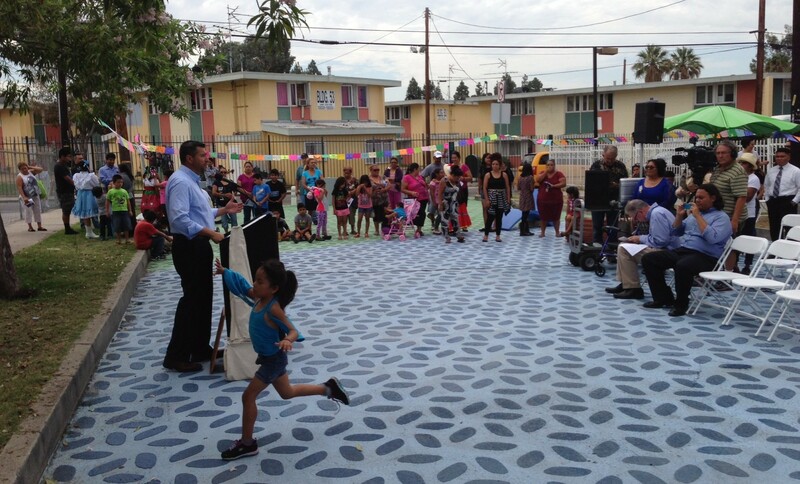 And, as with Leimert Park Village’s plaza, community groups are key in siting, designing, programming, and generally making these projects a success. 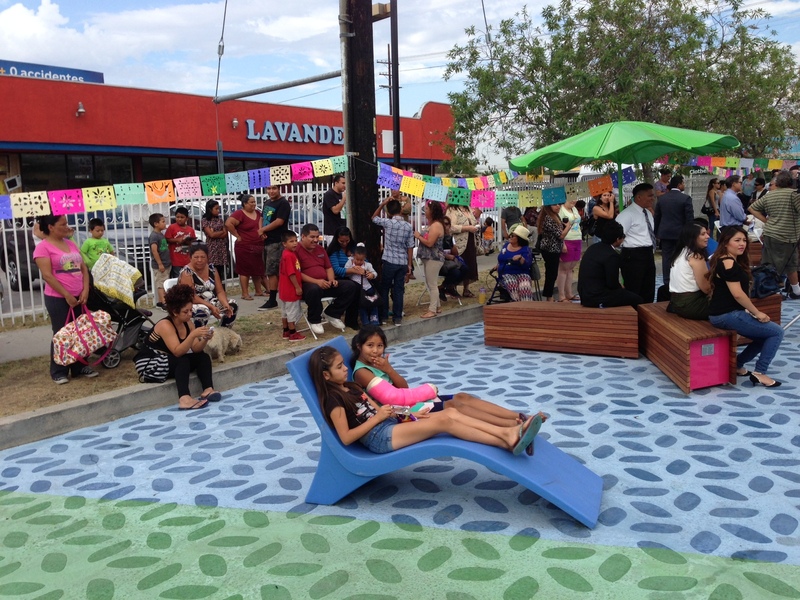 The non-profit Pacoima Beautiful has been key in making Bradley Plaza happen, in raising funds for street furniture there, and is already looking toward additional seating and shading for the site. Enjoy these photos that tell the story of yesterday’s celebrations, and give a small sense of how the plaza is already being embraced by the surrounding community. Two young girls share the durable lounge furniture. While Councilmember Felipe Fuentes speaks about how the plaza activates the space, a young girl runs past demonstrating how it works. LADOT GM Seleta Reynolds gave brief remarks, mostly acknowledging DOT staff and the community for their work in creating this great space. 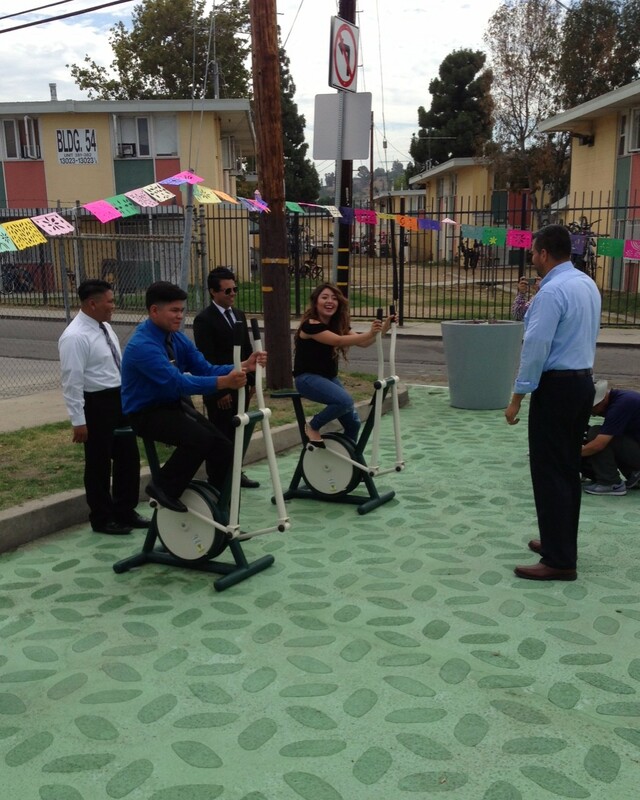 Councilmember Fuentes referees an informal fitness contest on the stationary bikes at Bradley Plaza. The plaza includes pedestrian-scale signage with, among other things, a map of nearby destinations that are easy to walk or bike to. 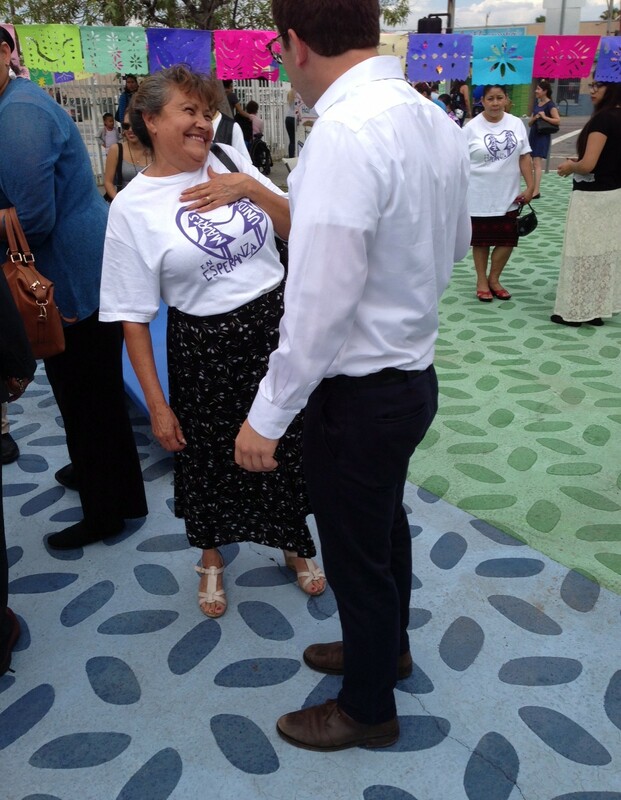 Madres Unidas’ Hermalinda Govea talks with Pacoima Beautiful’s Max Podemski. Both groups played key roles in making Bradley Plaza happen. Additional coverage of the opening can be found at the Daily News and CBS. 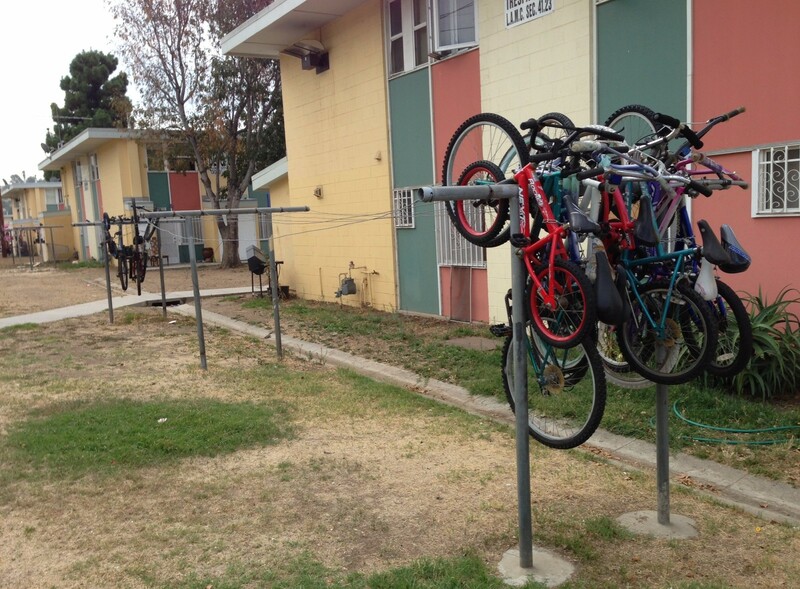 And Streetsblog readers may appreciate this photo of bicycle parking at the San Fernando Gardens housing project, immediately east of the new plaza. Perhaps its time for housing projects to install quality bicycle parking?